As much as we might want to, we can’t all afford to live in mansions (outrageous I know!). But it is possible to live in a small home and give it the treatment you and your family deserve. 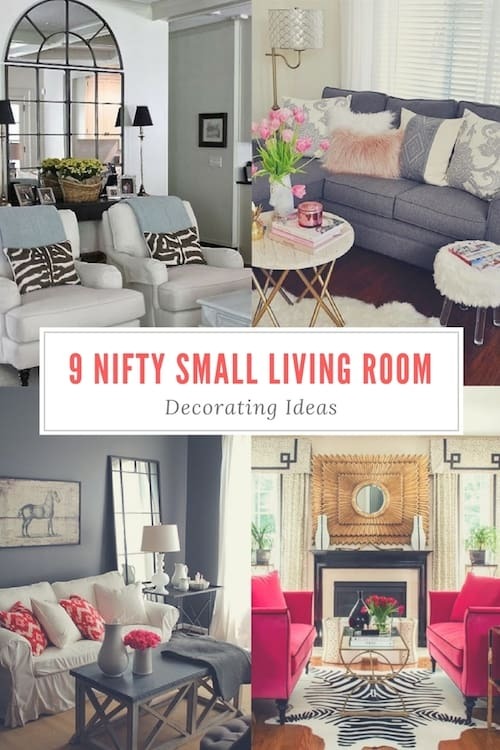 With these nine nifty small living room decorating ideas, you’ll discover ways you can maximise the space made available to you while still enjoying all the creature comforts. 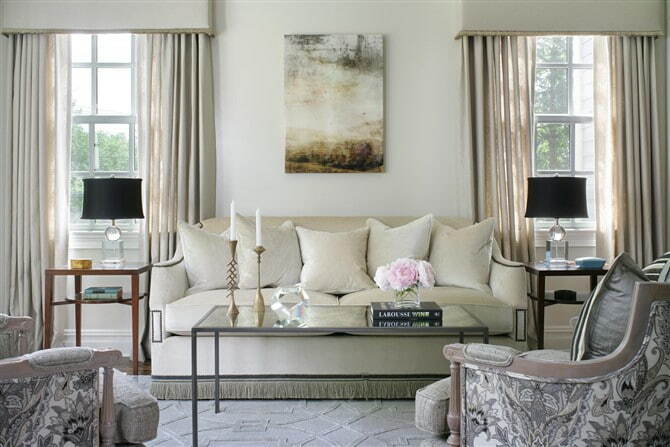 A neutral palette not only provides class, calm and concord, but it has an extraordinary ability to enlarge a space. Sure it’s just a matter of perception, but interior design is all about managing appearances – and neutrals appear to push back the walls. For full effect use neutrals – whites, beiges, greys or lilacs – on walls, floors, ceilings, curtains, artwork and furniture upholstery. 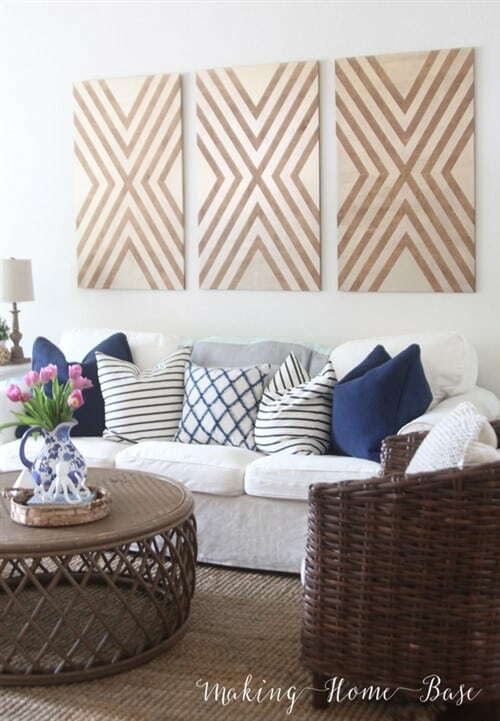 Rather than having one big coffee table taking up all the available space, use multiple small tables. 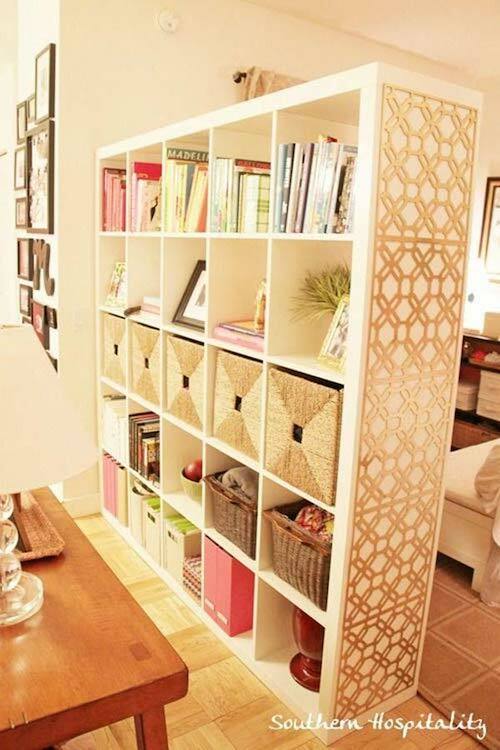 This will give you extra space, extra storage and more spots to place things of beauty like lamps and flowers. 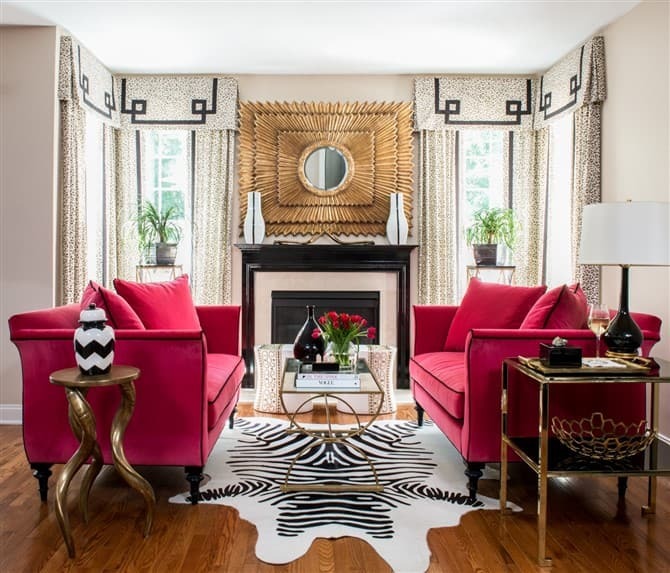 Smaller tables provide more possibilities for an eclectic decor but, most of all, it means adults won’t hurt their knees and toddlers won’t hurt their heads trying to negotiate around a big table. The opportunity to create a bit of a dance floor in your living area is increased when you push a couch up against a wall or use a modular design to frame a space. It allows for more floor space and keeps a room feeling more open. It reduces the number of narrow passages – essentially ‘dead space’ when it comes to a small room. The idea of using a variety of seating options is ideal for couples who only occasionally have guests over. 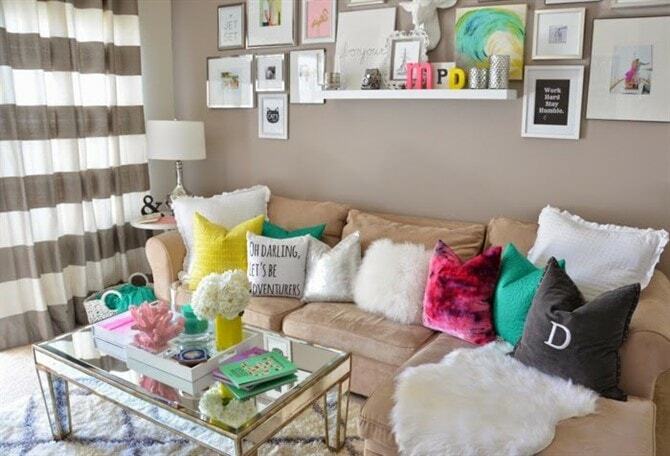 Rather than two large sofas, the idea is to have a sofa and a few chairs or a sofa and a love seat. This idea means you can enjoy the comforts of a sofa, but not have to sacrifice space each and every day. Besides, have you seen the cute chairs and love seats that are available these days? They’re amazing! Much for fun than a second sofa. 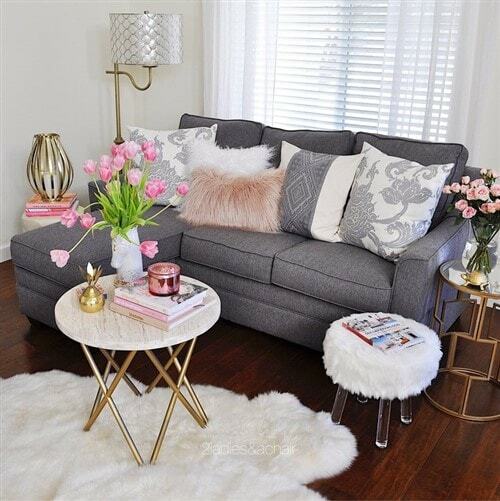 If you’re not one for big, long, lazy Netflix binges and prefer to use your living space for reading and chatting instead, consider a loveseat rather than a sofa then couple it with an accent chair or ottoman. This example, below, is so dreamy – quite an amazing achievement for such a small space. Sometimes, when dealing with small living spaces, it’s essential to get creative. If you’re trying to combine a lounge with an office or a lounge with a dining area, consider using a bookshelf to divide the space. 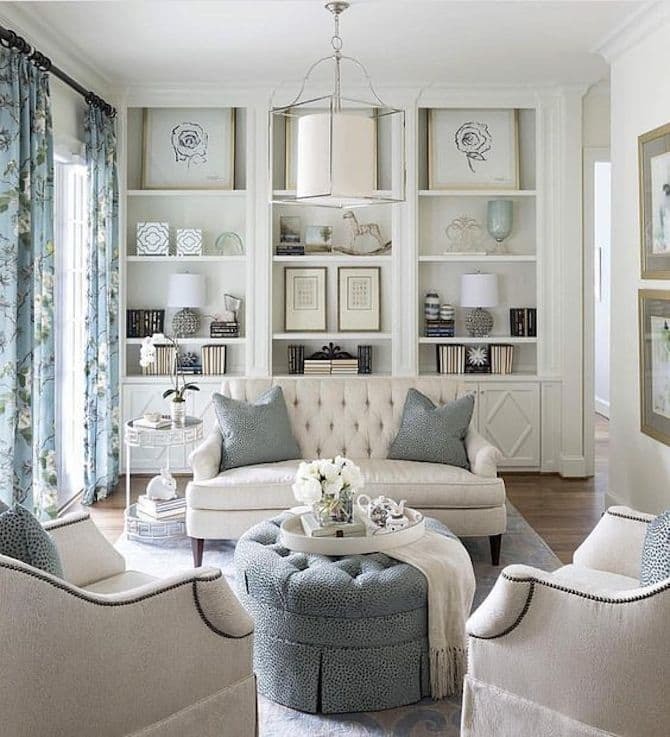 It’s a great way to make two rooms out of one and, because the bookshelf isn’t up against a wall, it can often give you more space in a room rather than less. Quite ingenius really. When your floor space is limited it’s often vital to maximise the wall space in order to achieve those more creative touches. To accentuate the height of a room, hang artwork slightly higher than you otherwise would in a standard space. This can trick the eye. Before committing to where you’re going to hang something or what you’re going to print, try different layouts. You can do this by cutting out pieces of paper or cardboard and temporarily sticking them to the wall. 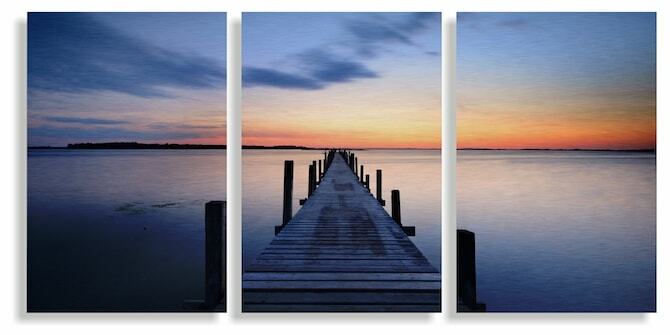 A layout like this split image metal print, below, is a wonderfully creative way to bring a wall to life. Image from Canvas Printers Online. There’s something to be said about smoke and mirrors or, in this case, glass and mirrors. Using glass and mirrors in a space is a foolproof way to give a room the appearance of more space. A glass coffee table opens things up rather than closing them down. There’s something about the ability to see through an element that gives a room a sense of something almost infinite in nature. You probably all already know this one, but it’s worth repeating. A strategically placed wall mirror gives a room depth and dimension – the oldest trick in the book. 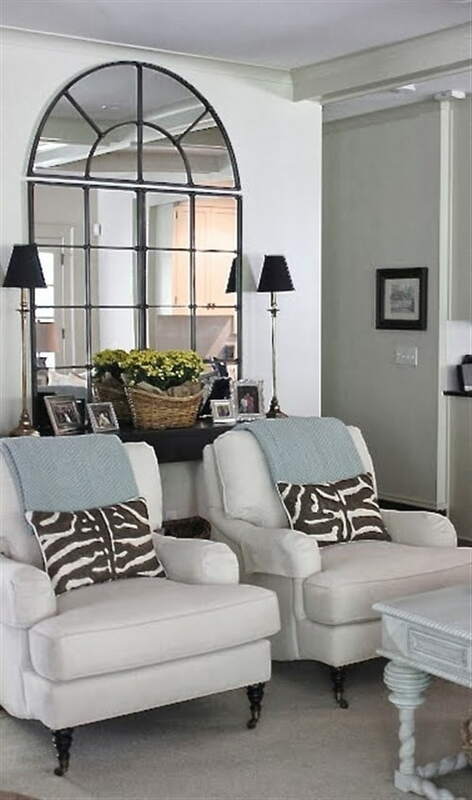 Adding an oversized mirror behind furniture will enhance the size of a room. Give it a go!